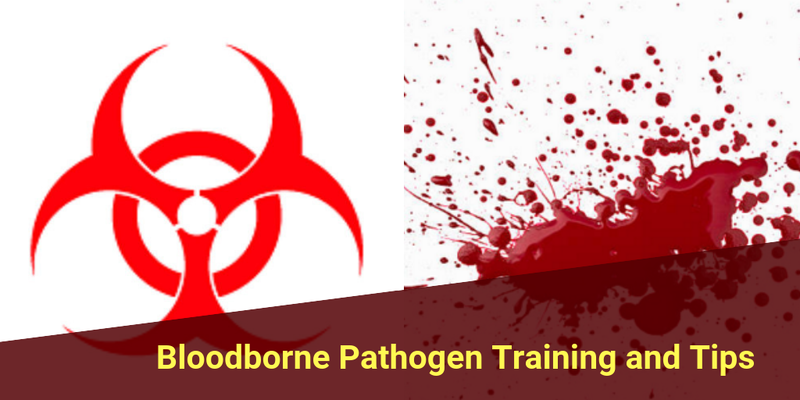 You may have been asked to enroll in a Bloodborne pathogens certification or bloodborne pathogens training course for your job, and want to know what to expect in such training. Bloodborne pathogens are amongst one of the hardest to control from spreading, even in healthcare facilities. It is estimated that 20 million people globally acquire HBV infections from medical injections deemed unsafe. Large outbreaks can result in thousands of people requiring testing for hepatitis. The greatest risk lies with health care professionals and related occupations (first responders, nurses, etc). There is always remains risk to employees in all industries, particularly if they are exposed to another colleague’s blood. A single paper cut can pose such a risk. There are a number of steps you can take to remain safe if such a situation presents itself in the workplace. Cover up sores, cuts and scrapes, removing rings and other jewelry before donning protective gloves. Other protective coverings are also recommended as blood or body fluid can splash easily- this includes eye wear, gowns and masks. Remove protective gear without contacting soiled areas, dispose carefully in proper containers. You can never wash your hands too much, particularly after providing care to a victim. Use hot water, soap, hand sanitizer where hand-washing facilities are not available particularly if you’ve come in contact with bodily fluids. Use Sharps disposal containers for needles, (particularly applicable to health professionals). Dispose of soiled clothing in marked plastic sealed bags for cleaning or disposal where necessary. Bio-hazard bags should be utilized for disposal of contaminated gloves, bandages, dressings, etc. Bio-hazard warning labels are mandatory on any container holding such contaminated material. Disinfect and clean thoroughly all equipment and surfaces in the workplace contaminated by blood or bodily fluids of any kind. Use an approved and professional disinfectant where possible, or mix chlorine bleach with water (1 part bleach to 9 parts water) and allow it to stand for about ten minutes. Scrub all leather and absorbent materials with a brush and hot water where possible. If contamination has occurred first assess the situation and remain calm- letting a cool head prevail will help alleviate the possibility of others in the area panicking or reacting adversely. Irrigate contaminated eyes with saline, clean water or sterile irrigants (eye wash station) for 20 minutes. Flush any area contaminated with blood or other infectious material with plenty of water, particularly around the nose and mouth. Prepare a post-incident report for your employer immediately following the incident, to assist with their control plan. In addition, report to EMS or other emergency personnel who can assume care. Include time, place, date, and other extenuating circumstance leading up to the incident. Your employer may have other requirements to note based on any Bloodborne pathogen training they may have offered. Current OSHA regulations mandate employers to have an Exposure Control Plan in place, which is a written program that outlines the measures the employer will take to minimize or eliminate employee exposure incidents. These guidelines should be made available during any Bloodborne pathogen training and certification courses or to any employee who potentially risks such exposure. It should include a specific plan explaining course of action to prevent the spread of infectious diseases.